Michael Turner's iconic cover to Superman/Batman #13 featuring Supergirl is brought to all three dimensions in astonishing detail! This striking 12-inch scale (1:6)-scale poly-resin statue, rendered by master sculptor Irene Matar, is a limited edition of 5,000 pieces. 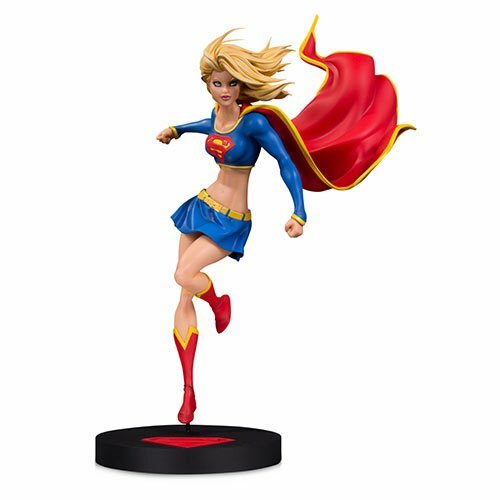 The DC Designer Series Supergirl by Michael Turner Statue measures slightly under 15-inches tall and is made of poly resin.